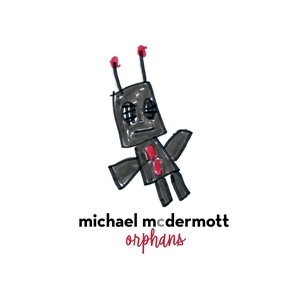 Stephen King has said that " Michael McDermott is one of the best songwriters in the world. " 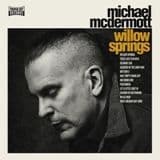 Willow Springs released in 2016 and Out From Under in 2018 were #1 and # 4 respectively on the EuroAmericana chart and is now available for the first time as a collection on vinyl. This beautiful collection is a numbered, limited edition, with download card is a must for any lover of the world class singer songwriter genre. Michael McDermott burst onto the scene in his early 20s with his exceptional debut, 620 W. Surf, and subsequently found himself touted as Rocks "Next Big Thing." Missteps and failures followed, and the collapse of an industry that once embraced him as its next sensation, are troubles and travails that either ruin a person completely or force a change of attitude and staunch determination to gather ones resolve to not only survive, but overcome. Michael McDermott vowed to do both. Ten albums in, its resulted in Willow Springs, one of the most honest, daring, and defiant recordings of his career. Named for the small town where he now resides with his wife and young daughter, it reflects a certain introspection about his life and the situations hes encountered while realizing that ultimately, his fate resides in his own hands.